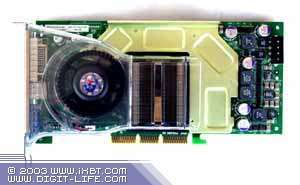 Monthly 3D Digest is the project of iXBT.com devoted to releases of new Windows XP (monthly) and Windows 9x/ME (once in 4 months) drivers for popular videocards (released from the 10th of November 2003 to the 10th of December 2003). As usual, there are many diagrams containing the information on changes in operation of videocards at change to last version drivers, and also summary diagrams of popular modern videocards performance. Traditionally we provide the best price/performance information for our 3Digest. Quality aspects are reviewed in the section dedicated to Windows XP. 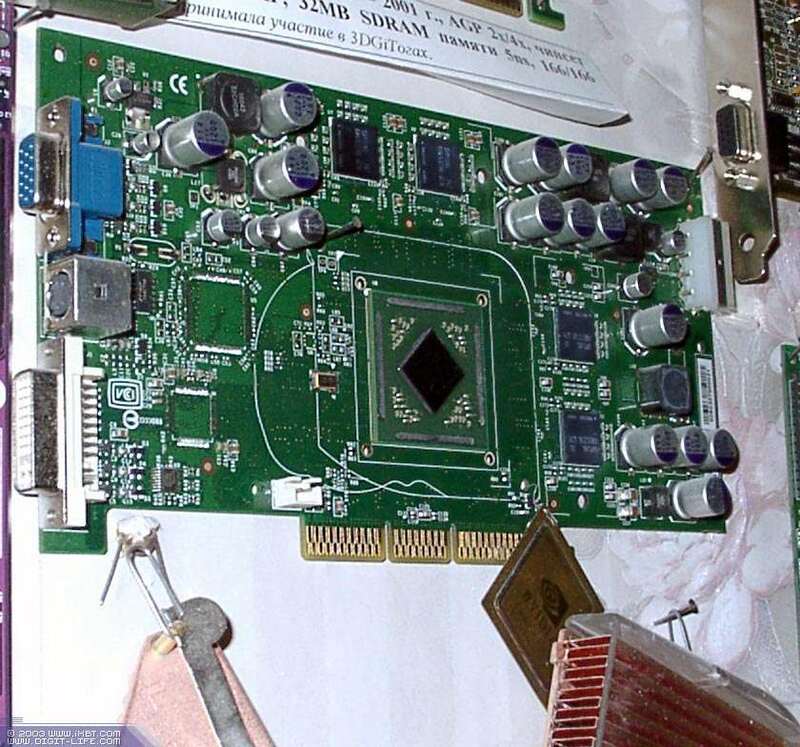 It was the time of the first NVIDIA lag related to the volume release of long-anticipated GeForce FX 5800 GPU announced as far back as late in 2002. Yes, real cards appeared only in March-April. 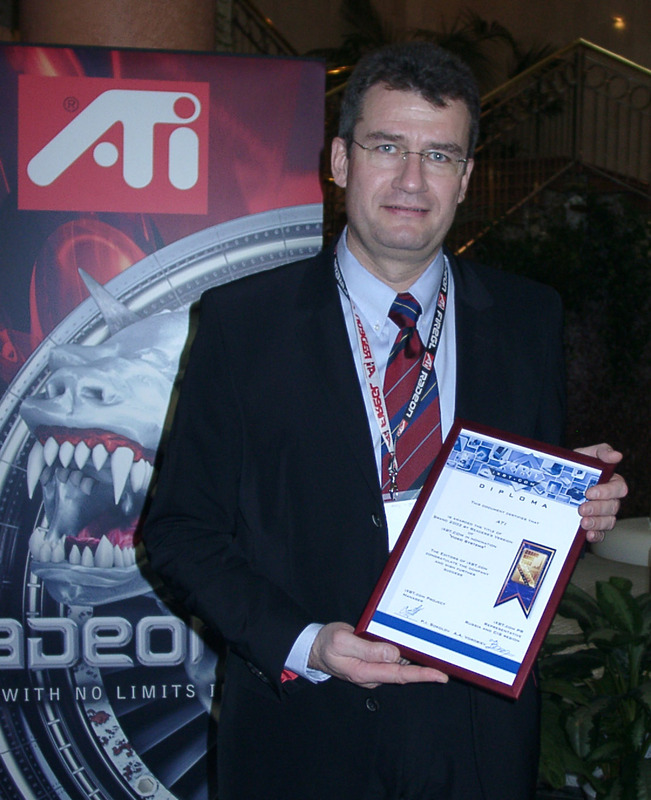 ATI, in its turn, used the effort of the Summer 2002 to further boost sales and R300-based products (RADEON 9500, RADEON 9700) popularity. 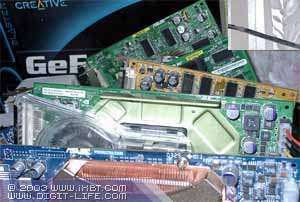 Right by the end of 2002 the shelves were hit by some cheaper DX9 solutions based on the software-pared R300. 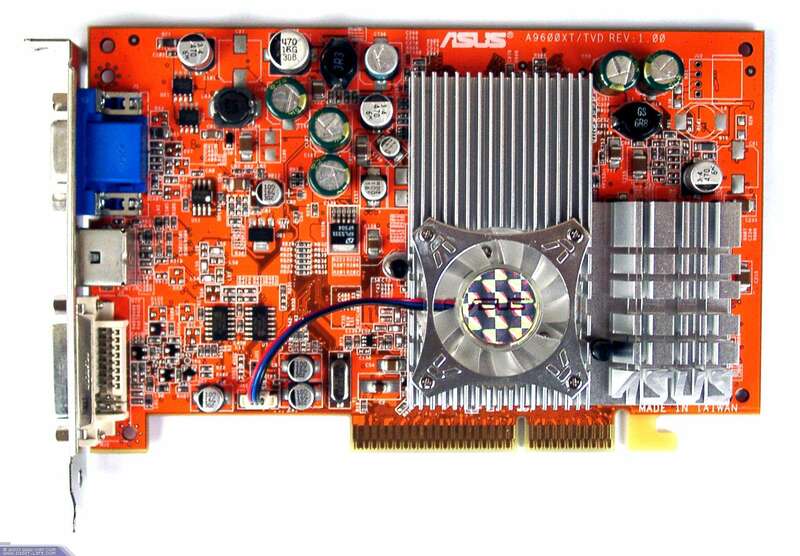 Other graphics card makers were keeping silence: neither Matrox, nor SIS, or S3 didn't introduce anything worthy. Yes, there were pared-down Parhelias from Matrox, but they were of little interest and totally hopeless in 3D, considering their prices and intention for 2D market. 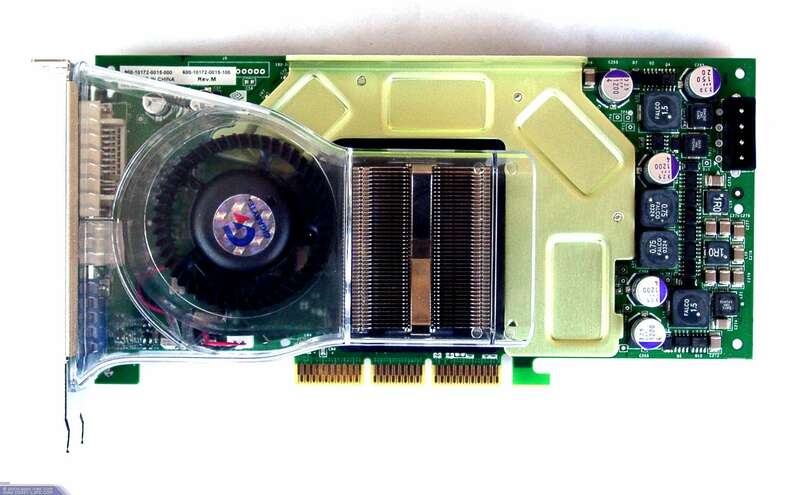 But then GeForce FX 5800 Ultra finally hit the shelves. 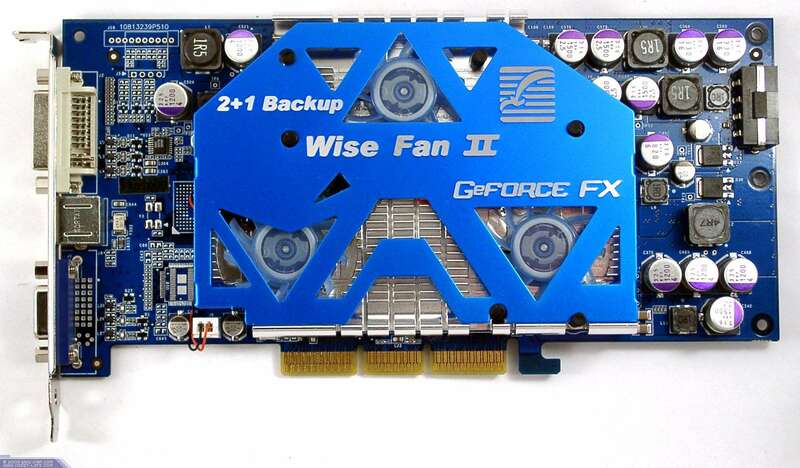 The cooling system was very noisy and the card was literally hot, DDR-2 in particular. Card's advantages didn't last long and in Spring we saw the RADEON 9800 PRO being actually the overclocked RADEON 9700 PRO. 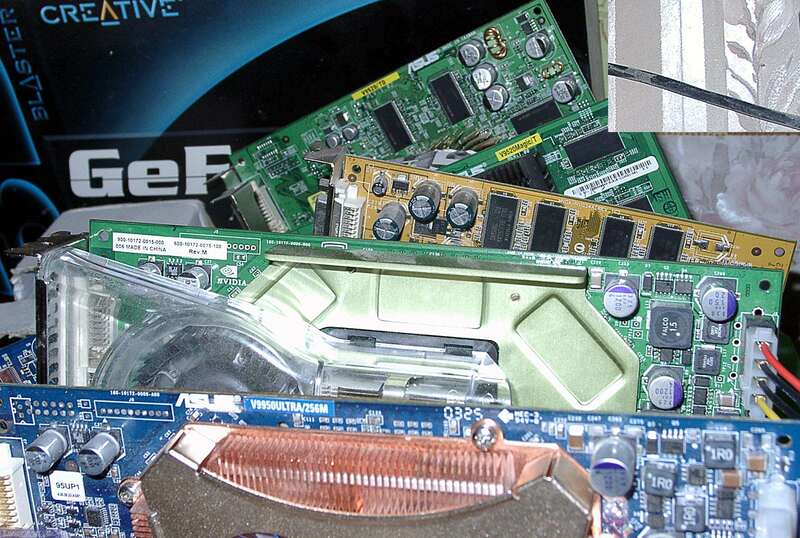 Well, the long-anticipated and already annoying GeForce FX 5800 died before it could get a grip on the market. 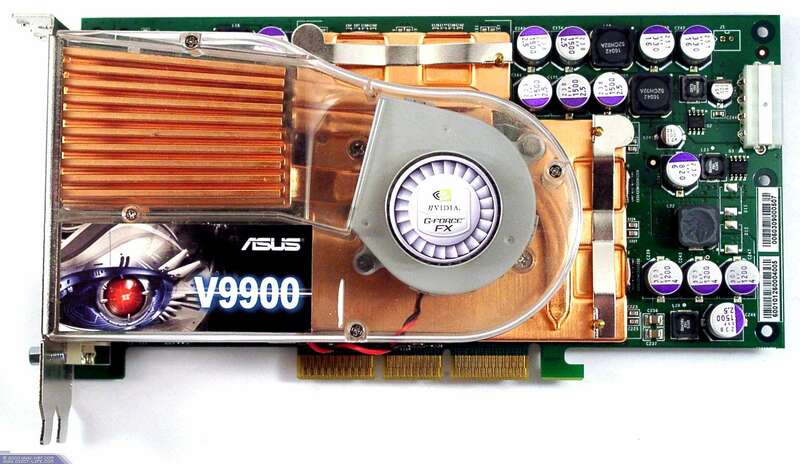 Of course, you can occasionally find such cards that are in stock since Spring, but who actually needs them when there are more powerful 5900XT with 256-bit buses for sometimes lower price. Meanwhile Californian fanfares were sounding about the soon release of the improved NV30 - NV35! But before this happened it May, we had seen RADEON 9800 PRO, which just finished NV30 off. Yes, it was just an improved RADEON 9700 PRO, nothing more. But this turned out to be enough to become the performance leader. So, until May 14 ATI was the technological leader. Of course, prices for High-End cards are so high that it's just not about any volume sales, but about the symbol of ATI's power. 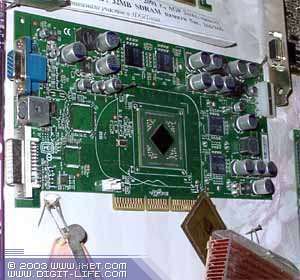 Then in May we witnessed GeForce FX 5900 Ultra (NV35). Our further reviews indicated that NV35 tried to grab the palm of supremacy, but performed very clumsily. From this moment on, both NVIDIA and ATI became technologically even, except for NVIDIA's Shaders 2.0 performance knock-down. 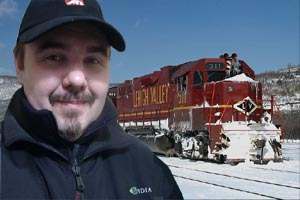 It was exactly NVIDIA who advanced DirectX 9.0 innovations claiming that NV3x had more features than DX9 required, and exactly its solutions were devastated in this field. 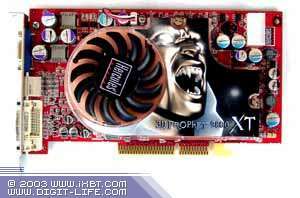 So, considering the aforesaid, RADEON 9800 PRO was more interesting early in the Summer 2003 than GeForce FX 5900 Ultra. 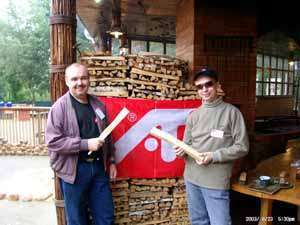 The disorder related to SARS in South Eastern Asia delivered a serious blow to Taiwanese Computex pushing it to September. At the event we were shown the new products from XGI (created by SIS that separated its graphics business) and S3 Graphics. But since then, i.e. until the year-end no volume sales were launched, just XGI Volari were samples to some countries and S3 delivered its first samples to a number of test labs. So, everything related to these products was almost automatically moved to 2004. I'll just add that a number of companies, including C.P.Technologies, Club3D, etc. 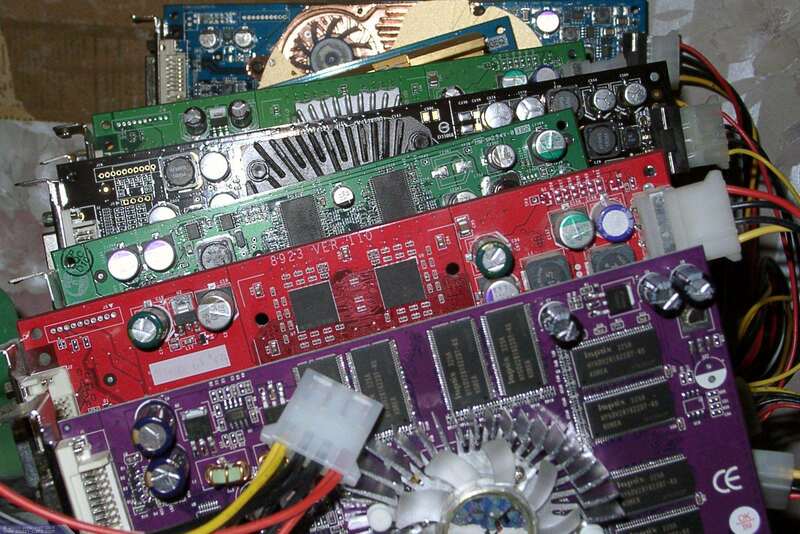 announced the intention to support the new solutions from XGI and S3 and release graphics cards on their GPUs. and ASUSTeK's announcement of its new partnership with ATI. From that moment on this very popular Taiwanese company started to release products on both ATI and NVIDIA GPUs. NVIDIA didn't want to lag and overclocked NV35 to NV38, i.e. 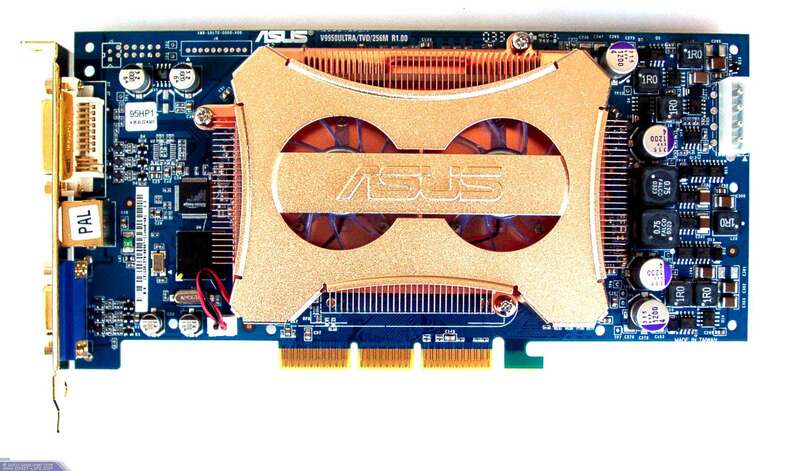 GeForce FX 5950 Ultra. 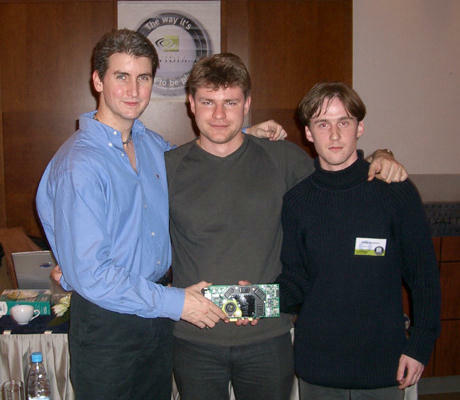 at the same time, to spite ASUSTeK, Gigabyte restored the partnership with NVIDIA, so we can see its first product on the aforementioned NV38. So in general companies became even again in the High-End segment (excluding Shaders 2.0 where ATI obviously ruled). But that was not all. 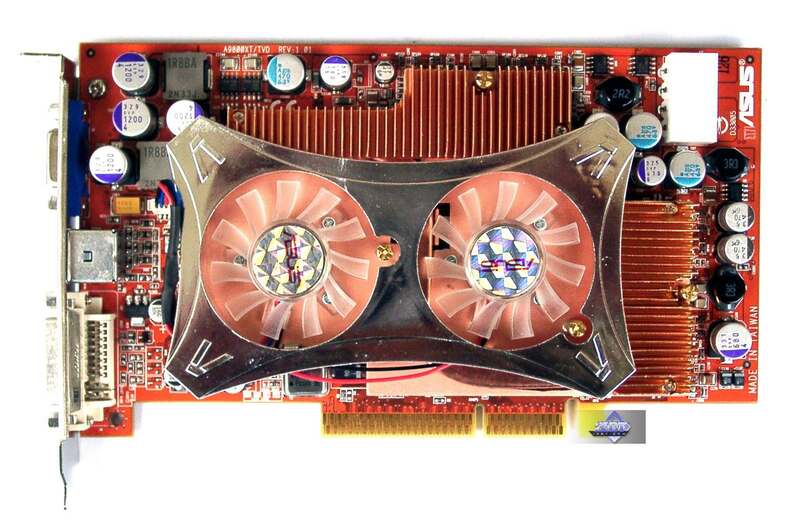 ATI also released R9600XT, so GeForce FX 5700 Ultra (NV36) was announced to spite the former. 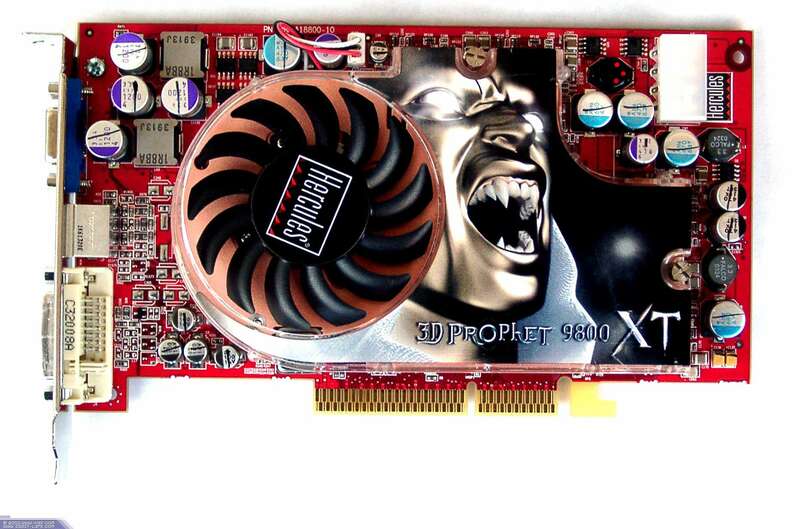 This card was not just an overclocked GeForce FX 5600 Ultra, but, unlike RADEON 9600 XT, a completely new product. First of all, the GPU inherited the Vertex Shaders block of NV35. 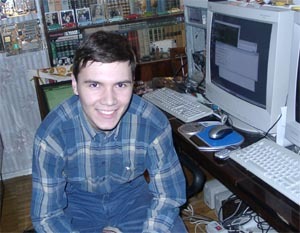 Second, its clock speed was increased to 475MHz, and third, it was a try-out of DDR-II in Middle-End solutions. 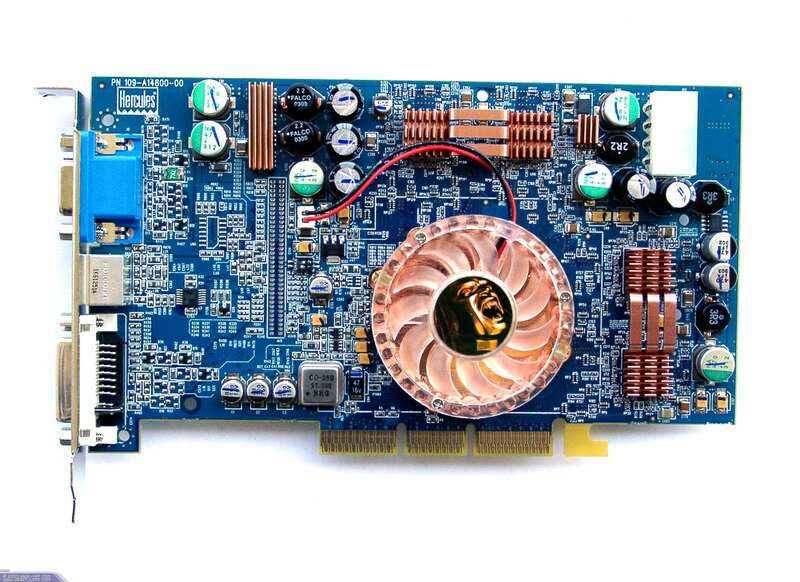 Meanwhile the FX 5900 series began growing rapidly. 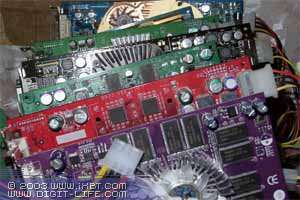 There were lots of cards with reduced clock speed, but the same FX 5900 GPU. These solutions were given rather various names like 5900LX or CP. 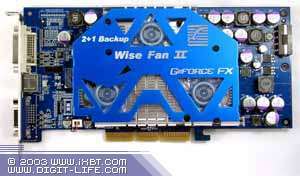 And only later NVIDIA released FX5900XT that officially consolidated the new products. 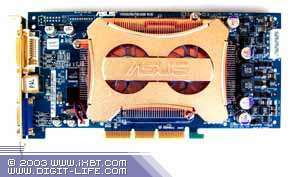 If you remember, it differed from the original FX5900s only by the reduced memory clocks. But what was more important - the price that dropped so low that there was almost no sense in purchasing cards on FX5700 Ultra. In other words, the market was very overcrowded! The High-End segment was full of older products of Spring-Summer already pressed by the Autumn novelties. It was just grotty to bang away all these overclocked, but half-finished solutions! The Middle-End segment suffered almost the same: RADEON 9600 PRO, 9600 XT, FX 5600 Ultra, FX 5700... Messed up prices caused difficulties in choosing yourself a card to buy, and no reviews helped. 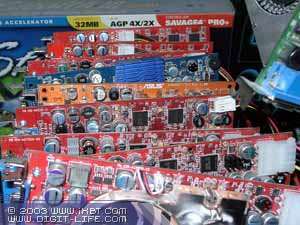 But the worst mess was in the Low-End: older MXs, newer FX5200s, pressing RADEON 9200, fresh RADEON 9200SE, and even FX 5600XT... I don't even consider the older generations that might be in demand. Again, the market was overcrowded... But still nVIDIA released its MX4000. It would seem that everyone had forgotten DX7 already! NVIDIA itself popularized moving the newest innovations into the Low-End, so why release such a peculiarity again? I just don't understand this. And what about our 3Digest? Well, we are still watching all the market changes, test about 38-40 monthly adding the newest solutions that are in relative demand. Of course, some cards are archived due to the absence of drivers changes (and therefore functionality) and the (naturally relative!) obsoleteness. Sometimes we have to return cards from the archive, if the demand restores. 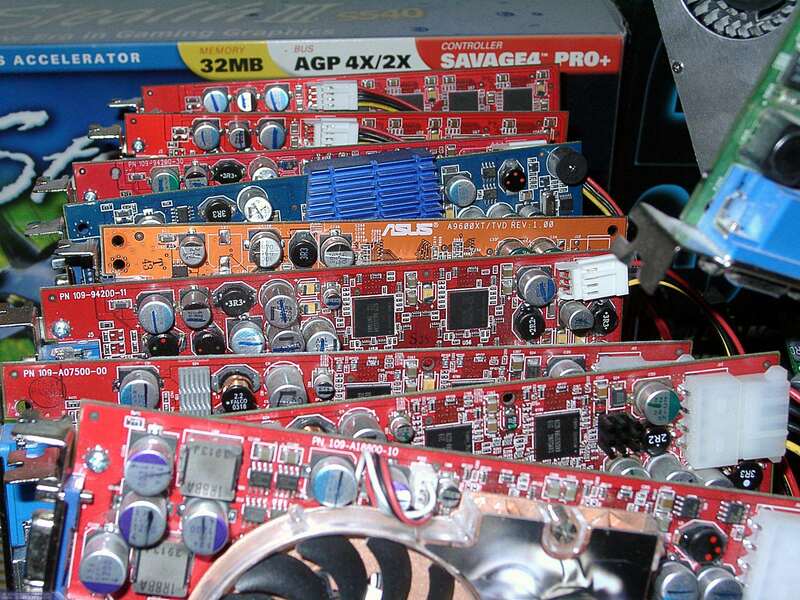 At the moment we support about 40 graphics cards providing monthly updates of their test results. Summarizing the year 2003, I'd like to underline a number of important things. 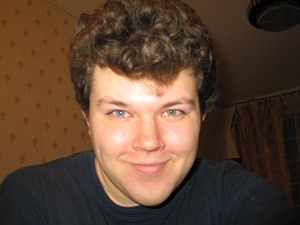 First, it's the scandal around 3DMark03 and FutureMark itself. It was actually initiated by NVIDIA, programmers of which tried to abruptly boost NV3x performance with various quality-spoiling "optimizations". It's been about a year since that time, but FutureMark and nVIDIA occasionally quarrel and make it up. Now there's a patch removing all nVIDIA optimizations, now we see the NVIDIA's drivers that restores them again. Due to all this mess both companies lost some prestige amongst the understanding audience. And testers naturally became the hostages of this situation not knowing how to test cards fairly, because you can blame them for anything if you wish (wrong test methods / versions / patches used). This is all very sad. If you can still slip out of this in games by creating your own benchmarking demos, you can't get rid of the optimizations in the pure 3D benchmarks. Besides, there's no need in patching drivers to remove the application identification procedures, as drivers might actually have useful optimizations fixing game bugs. Third, we witnessed a very unpleasant trend of High-End prices growth even despite the savage competition. Somewhere even RADEON 9700 PRO is in demand, and there are already tons of new cards with incredibly high prices. So, the year ended. We are still together with NVIDIA and ATI, while all others must first prove their worthiness, because we are already tired of quarterly announcements of the same, but overclocked cards. It's our 43th issue of 3Digest. 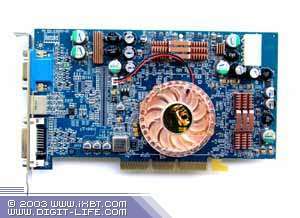 These and other drivers are available for download at drivers.ixbt.com, riva.ixbt.com as well as on unofficial support websites: NVWORLD and RADEON2.RU. We've excluded 3DMark from our testing, however as many like these tests, we recommend you to visit 3DMark.ru (now it's Guide3D.ru) that contains much useful information. 3.2. In this issue we used 53.03 drivers for NVIDIA cards summaries; 6.396 drivers for ATI cards summaries (because the final release of 6.404 or CATALYST 3.10 was issued later than our tests started). 3.3. In September we tested cards in Tomb Raider: The Angel of Darkness (v.49). It's the first game based completely on DirectX9. It has a built-in benchmark for testing DirectX9 compatible cards. We performed our tests in the maximum available quality with only Depth of Fields (both) and PS20 Shadows disabled. Of course, these settings were the SAME for all cards tested. 3.4. In October we tested cards in the leaked Half-Life 2 beta at max. detail level, DirectX 9 (of course, DirectX 8 was automatically selected for DirectX 8 cards), best anisotropy available. 3.5. Last time we conducted testing in Tom Clancy's Splinter Cell (v.1.2b) - Direct3D, Vertex/Pixel Shaders 1.1/2.0, Hardware T&L, Very High quality. Note that antialiasing didn't work in this game. Therefore we didn't test AA + anisotropy in it. 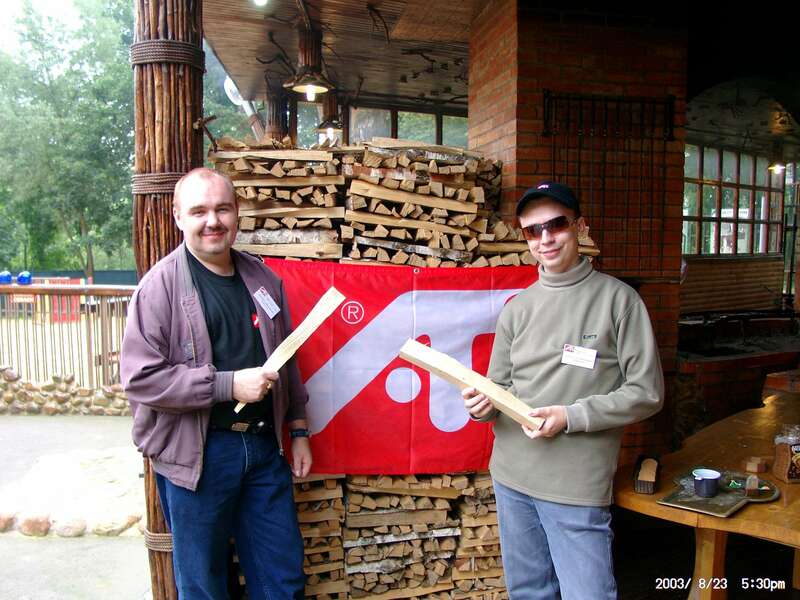 3.6. This time we conducted testing in Call of Duty - OpenGL, multitexturing, ixbt1203demo, best detail settings, S3TC ON. Tests were conducted at 1024x768 with AA + aniso. Tom Clancy's Splinter Cell didn't run on Radeon 9200SE 64MB 64bit, so these results are absent in the summary diagrams. ForceWare 53.03 changed the situation to better for NVIDIA cards. In Return to Castle Wolfenstein it fixed texture bug. For more details see our Games quality section. Summing up the information on NVIDIA family I recommend you to visit World NVIDIA website that often provides solutions to your problems caused by drivers bugs, etc. and offers all necessary drivers along with the RivaTuner.